Super clean, cozy and communal hostel. They host dinners a few times a week which is a great way to meet other travelers! Upon arrival they make sure you have the all the info you need about your visit to Roma. They have a cafe where you can buy breakfast and also a small kitchen in the dorms. Very close to the rail station. The only downside was that being on the bottom bunk, I woke up almost every time the person above me moved. But maybe they were just loud in general. Would recommend! AN AMAZING HOSTEL!! I initially booked this place because they had a vegetarian cafe, but it turned out to be so much more! In close walking distance to most major sites, and right next to train station which is convenient. I attended the dinner night which was great! Met so many cool people and got to eat good food (owner specifically made me vegan food). Rooms are cozy and clean. There’s a living space that you can hangout out. All in all, just an amazing hostel! The Beehive was a fantastic place to stay! Lovely place in a great spot with very friendly staff. Would love to visit again! The BEST hostel I have ever stayed in. This hostel goes above and beyond to create a social atmosphere by hosting family style dinners and pasta making classes throughout the week where I’ve made some amazing friends. Bathrooms are fantastic and rooms are very cozy and cleaned daily. Although this is not a party hostel, it is still a very sociable hostel if you put in a bit of effort and get involved. Owners are incredibly friendly, helpful, and sociable. Would 100% recommend to anyone. Gorgeous little hostel very close to the main railway station in Rome. Staff are friendly and the rooms are clean and comfy. Would I say here again? Absolutely! I’d still consider March being the “offseason” but the Beehive was so quiet and clean. Had no problem sleeping through the night and the hostel was cleaner than many hotels that I’ve stayed at. The breakfast was perfect and available early so we could get our day started before lines formed at the major sites. Definitely recommend! 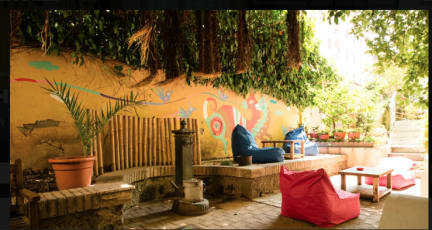 The Beehive is a pleasant, comfortable, welcoming, and clean hostel. All of the staff working, including the owners, were very helpful and engaging. The proximity to Termini is very convenient for coming in and out of town but outside of that, the location itself can be far from some of the sights depending on your agenda. The hostel has also created an app with recommendations and information about Rome which was helpful! We would absolutely stay again! 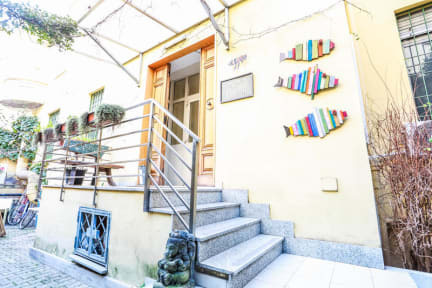 Wonderful location a 1 minute walk from Termini station. Incredibly knowledgeable, kind, and helpful staff. Perfectly clean. It may have been the time of year or my schedule, but I personally didn't connect with any fellow travelers. They offer community dinners (twice a week I think) that I should have taken advantage of, and I would bet their garden/patio gets a lot more social in the warmer months. Great location, safe enough for me—a solo female traveler. I stayed at the adjoining place and it was great! Quiet, but connected to the main hostel and all its amenities. The cafe was nice for breakfast. The only issues I had was that I had trouble getting buzzed into the main hostel one morning (had to ring the bell many times and call), and that I was charged €2 to store my bag for the day. I’ve never been charged for this and I can’t imagine that it produces much revenue for the hostel.